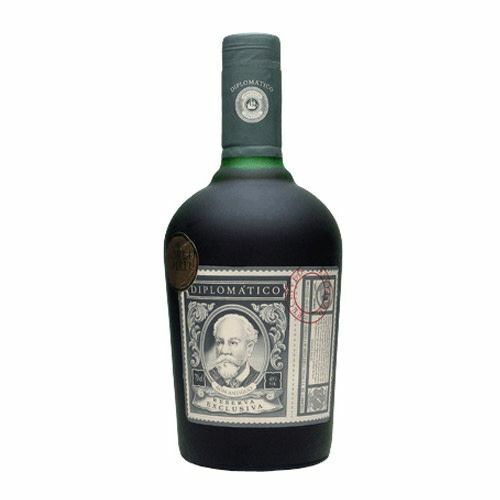 A complex blend of Copper pot still rums aged for 12 long years, has a characterful nose, showing fruit cake, rum'n'raisin ice cream, cocoa, dried ginger, cinnamon and clove. Develops baked bananas with fudge sauce and chewy toffee notes alongside vanilla oak and a deeper note of syrupy gingerbread, with hints of orange zest. The palate evokes chocolate sauce and the sweet toffee, fudge and tropical fruit flavours from the nose. Flakes of Terry's Dark Chocolate Orange sprinkled over melted vanilla ice cream. Deep, vivid and extremely seductive flavours.